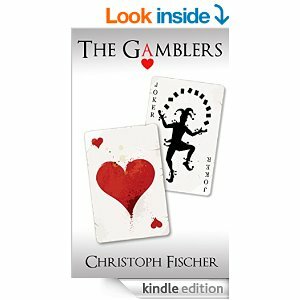 I just finished The Gamblers by Christoph Fischer and it is my pleasure to feature him and his book on my humble blog. 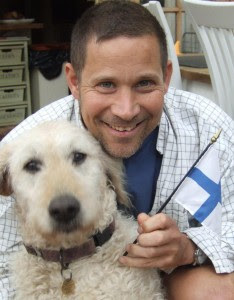 Christoph has a penchant for understanding the actions, desires, foibles, and motivations of people. That can be discerned by some of his previous books like The Healer and In Search of a Revolution and The Luck of the Weissensteiners and other titles listed below. This new launch of The Gamblers carries forth his strong desire to know the inner cravings of his fellow human beings. Imagine yourself a handsome geeky accountant and introvert, your DNA dictating a mind absorbed with numbers, calculations, statistics, and probabilities. Now, imagine a sudden 64,000,000 lottery windfall of British currency coming into your life. Your psyche will not allow you the wild excitement of a grand spending spree, your calm and careful considerations lead you to give a small portion of the money to Cancer Research and to a homeless children project. The rest of the money goes into an interest-bearing bank account that provides income of some 60,000 per month… You would be imagining yourself as Englishman Ben Andrews. Ben takes a trip to his favorite city, New York, his ‘business class’ ticket for some reason upgraded to ‘first class’. Enter a stewardess named Wendy, blonde, blue-eyed, curvaceous, and beautiful. Wendy gives Ben some sites to visit in New York, and Ben becomes immediately smitten. While in New York, Ben meets a charismatic man named Mirco. A gambler and big spender, Mirco quickly takes to the English chap after some discussions about how each approach gambling – Mirco’s intuitive approach and Ben’s constant search for a formulaic pattern in poker betting. The two men solidly bond, and Mirco picks up all the bills in their subsequent meetings – in NY, London, Nairobi, and other exotic spots for gambling and romance. So, you have the major players in this interesting tale, a tale that will appeal to those who are romantic at heart, risk-takers, and the general reader. The novel has a most pleasant reading style and the chapters cover sequentially all of the action. The ending might surprise – not in an unpleasant way – and will encourage you to read more books by Christoph Fischer. He has written several other novels which are in the later stages of editing and finalization. Posted in Gambling, Love, Romance. Tagged authors, books, Christoph Fischer, gambling, intrigue, London, love, Nairobi, New Yord, romance, The Gamblers, writers, writing. Thanks for introducing us to Christoph, and for the terrific review, Billy. Oh my, I’m loving his dog! Thanks Billy for this great write up and post about THE GAMBLERS. I’m very intrigued by Christoph’s new novel. Well, I’m intrigued by all his novels. Thanks Billy Ray! Reblogged this on momentarylapseofsanity. Thanks so much.